Classic Style! 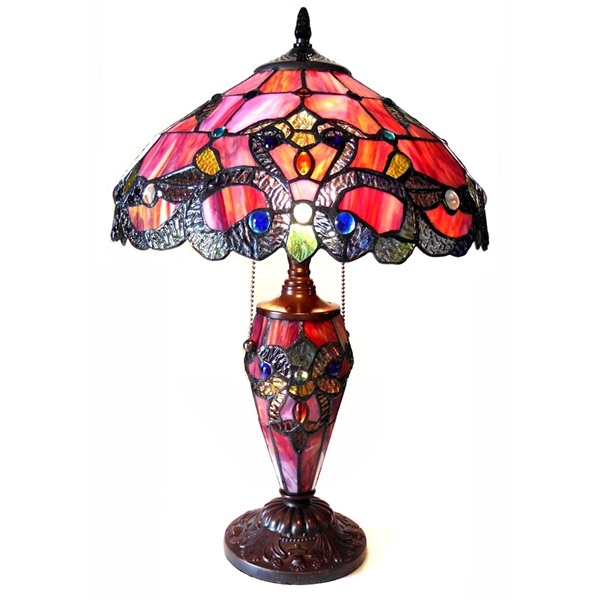 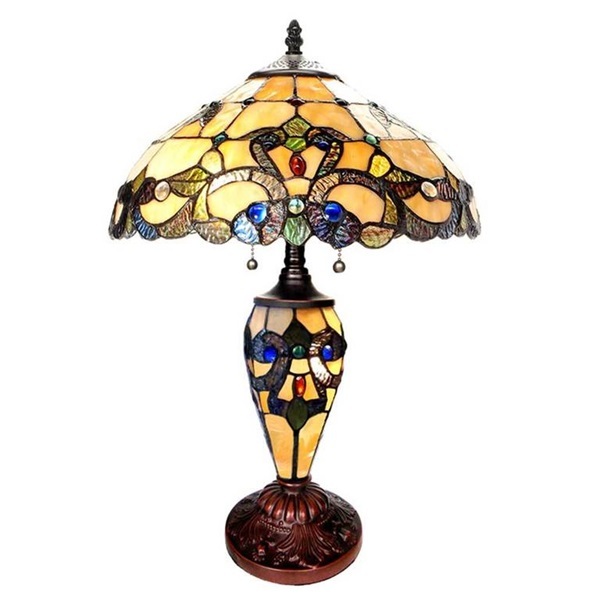 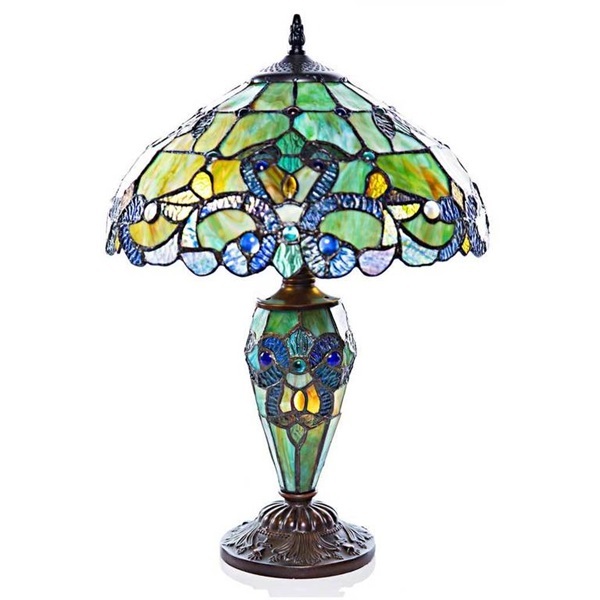 This 20" H Magna Carta Stained Glass Double Lit Table Lamp is sure to add the perfect touch to any décor . 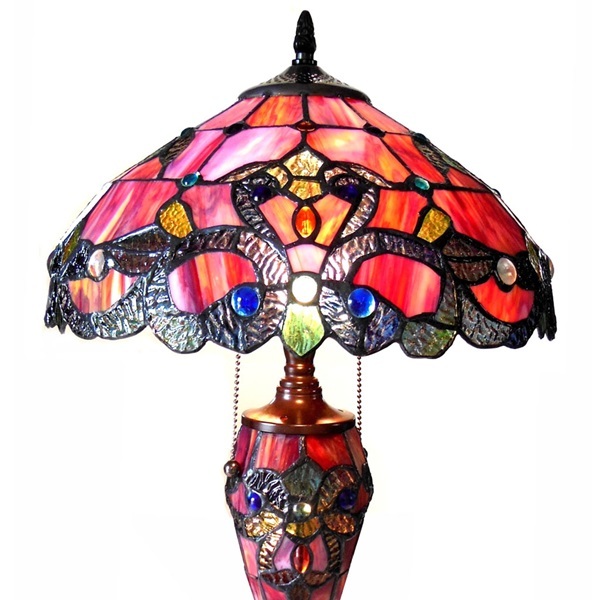 It is handcrafted with 245 pieces of glass and 50 cabochons. 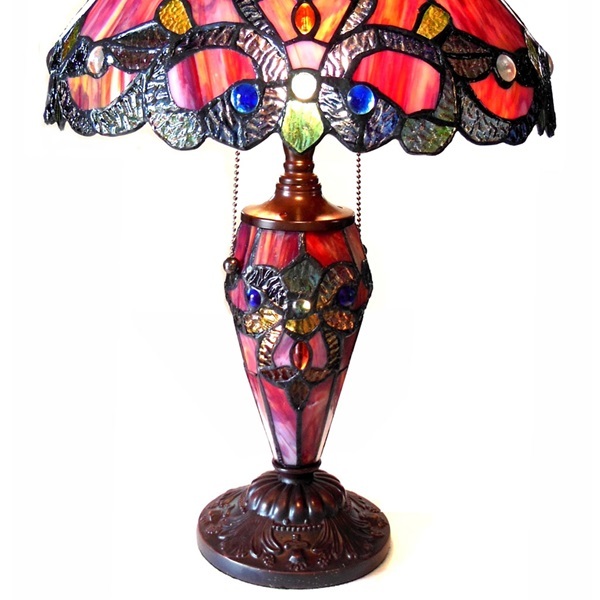 The double lit option provides both functional and ambiance lighting. 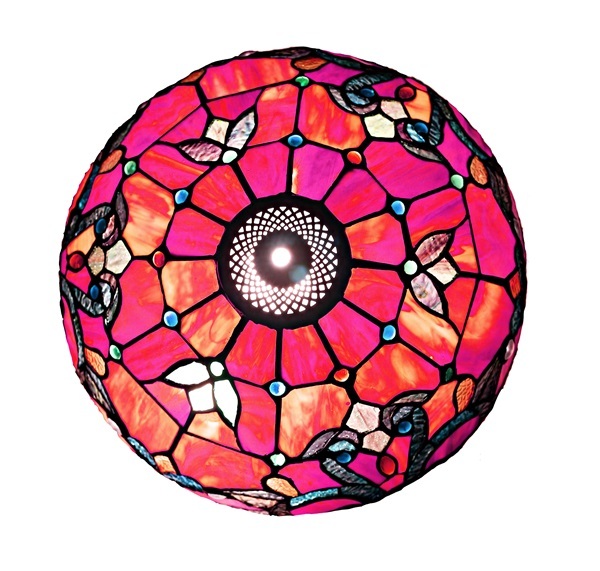 RESIN, METAL, GLASS E26-2x60W,A,N+E12-1x7,C,N, 50 IVORY 20" 20" 245 14" PULL CHAIN, INLINE 14"
RESIN, METAL, GLASS E26-2x60W,A,N+E12-1x7,C,N 50 RED 20" 20" 245 14" PULL CHAIN, INLINE 14"
RESIN, METAL, GLASS E26-2x60W,A,N+E12-1x7,C,N 50 BLUE, GREEN 20" 20" 245 14" PULL CHAIN, INLINE 14"